Aurora SPARC Linux was Red Hat-based Linux distribution ported to the Sun Microsystems' SPARC architecture. In November 2006 the distribution has become part of Fedora Secondary Architectures project. 2013-03-11 NEW • Distribution Release: Porteus 2.0 "Kiosk"
Rate this project Jay Flood has announced the release of Porteus 2.0 "Kiosk" edition, a minimalist Linux distribution for web-only terminals with Firefox as the sole application: "The Porteus community is proud to announce the Porteus 2.0 Kiosk edition. Based on Slackware Linux 14.0 and with Linux kernel 3.7.8 and Firefox 19.0.2, this is a 32-bit system which is entirely locked down to prevent tampering with any of the components (including the browser), making this a perfect fit for kiosks and other publicly available web terminals. The ISO image is 37 MB and it contains only the libraries and utilities which are required to launch Firefox. Additional software may bring along security risks and affect stability in a restricted environment which is why we have removed everything else from this edition." Read the rest of the release announcement for a brief list of features. Download: porteus-kiosk-v2.0-i486.iso (37.0MB, MD5). Jay Flood has announced the release of Porteus 4.0, a set of small, portable Linux distributions based on Slackware Linux (and an indirect continuation of the original Slax project which has since switched to the Debian base). Porteus provides separate live media for its seven desktops, all of which are available for both x86_64 and i586 architectures: "Team Porteus is immensely gratified to announce the immediate availability of Porteus 4.0 final in seven desktop flavours. Major changes include: Linux kernel 4.16.3; core is based on Slackware 'current'; seven desktop options to choose from; new configuration file which replaces the .sgn file and can hold cheatcodes, one per line; new update-browser feature to update or download your preferred browser (available in GUI); support for EFI (using syslinux for both BIOS and EFI boots); new Porteus update feature built in to update the base modules; Intel microcode available in boot folder." Here is the brief release announcement as published on the project's user forums. Download (MD5, pkglist): Porteus-CINNAMON-v4.0-x86_64.iso (306MB), Porteus-KDE-v4.0-x86_64.iso (354MB), Porteus-LXDE-v4.0-x86_64.iso (274MB), Porteus-LXQT-v4.0-x86_64.iso (285MB), Porteus-MATE-v4.0-x86_64.iso (298MB), Porteus-OPENBOX-v4.0-x86_64.iso (269MB), Porteus-XFCE-v4.0-x86_64.iso (275MB). Jay Flood has announced the availability of a development build of the upcoming Porteus 4.0, a set of portable Linux distributions based on Slackware Linux, with a good choice of desktop environments. Although labelled as "release candidate 4", this is actually the first public development release of the new 4.0 series: "After a long wait, team Porteus is blithely impelled to announce the immediate availability of Porteus 4.0 release candidate 4. This release is larger than the previous releases and contains more firmware and base packages to aid in a smoother more solid user experience. We have also patched for Spectre and Meltdown. Major changes include: Linux kernel 4.15.2; core is based on Slackware 'Current'; seven desktop options to choose from; new update-browser feature to update or download your preferred browser...." Read the full release announcement further details. Download (MD5, pkglist): Porteus-CINNAMON-v4.0rc4-x86_64.iso (301MB), Porteus-KDE-v4.0rc4-x86_64.iso (346MB), Porteus-LXDE-v4.0rc4-x86_64.iso (270MB), Porteus-LXQT-v4.0rc4-x86_64.iso (281MB), Porteus-MATE-v4.0rc4-x86_64.iso (294MB), Porteus-OPENBOX-v4.0rc4-x86_64.iso (265MB), Porteus-XFCE-v4.0rc4-x86_64.iso (274MB). Porteus is a fast, portable Linux distribution based on Slackware. The project has published a new stable release, Porteus 3.2.2. The new release is available in four editions: Cinnamon, KDE Plasma, MATE and Xfce. "Porteus is on cloud nine to announce the final release of Porteus v3.2.2 and Porteus Kiosk 4.2. There have been some major changes in the desktop edition since the 3.1 release including: Linux kernel 4.9, PulseAudio, eudev, consolekit2, more complete 000-kernel firmware. Other Slackware based changes can be found here. Four desktops are available at this point: Xfce4, MATE, Cinnamon and KDE5. The base modules are a little larger than the previous release but contain a more complete set of packages for all round compatibility." Additional information can be found in the project's release announcement for Porteus 3.2.2. Download (MD5, pkglist): Porteus-CINNAMON-v3.2.2-x86_64.iso (272MB, signature), Porteus-KDE-v3.2.2-x86_64.iso (412MB, signature), Porteus-MATE-v3.2.2-x86_64.iso (243MB, signature, Porteus-XFCE-v3.2.2-x86_64.iso (239MB, signature). Jay Flood has announced the availability of the fifth and final release candidate for the upcoming Porteus 3.2, a set of minimalist, Slackware-based live CDs featuring Cinnamon, KDE Plasma, MATE and Xfce desktops, delivered on separate CD images. 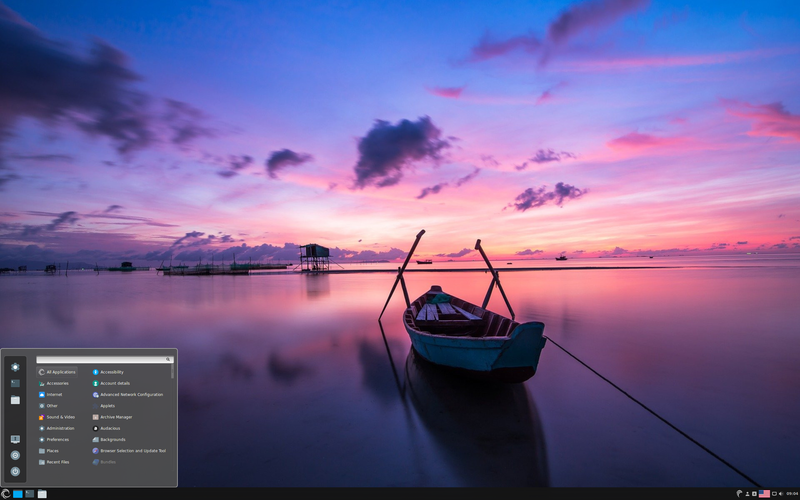 This build is based on the recently-released Slackware Linux 14.2: "Porteus 3.2rc5 is released. We are gleeful to announce the release of the next lightweight portable Porteus 3.2rc5. This is the last release candidate before the final is released. A full changeLog and any bug reports can be found here. This release upgrades to Linux kernel 4.7.2, updates many packages, fixes most reported bugs from rc4 and makes a major update to KDE 5 which seems more responsive now. Thank you to our testers, you have done a great job and a special thanks to all donors. These donations will ensure the continued development of Porteus. You can make a donation here. Every little bit helps." Here is the brief release announcement. Download links (MD5, pkglist): Porteus-CINNAMON-v3.2rc5-x86_64.iso (263MB, signature), Porteus-KDE-v3.2rc5-x86_64.iso (409MB, signature), Porteus-MATE-v3.2rc5-x86_64.iso (238MB, signature), Porteus-XFCE-v3.2rc5-x86_64.iso (235MB, signature). Jay Flood has announced the availability of the third release candidate for Porteus 3.2, a Slackware-based live CD originally derived from Slax. This release delivers four live CD images featuring Cinnamon, KDE, LXDE and Xfce desktops: "We are jubilant to announce the release of the next lightweight portable Porteus, version 3.2rc3. This release includes a move to the 4.6.1 kernel, various minor bug fixes and package upgrades from release candidate 2. You can download the 32-bit or 64-bit ISO files now. A full changeLog and any bug reports can be found here along with some basic instructions of added scripts. Thank you to our testers - you have done a great job and a special thanks to all donors. These donations will ensure the continued development of Porteus. You can make a donation here. Every little bit helps." Here is the brief release announcement. Interested testers can download (MD5) the live CD images from here: Porteus-CINNAMON-v3.2rc3-x86_64.iso (252MB), Porteus-KDE-v3.2rc3-x86_64.iso (413MB), Porteus-MATE-v3.2rc3-x86_64.iso (235MB), Porteus-XFCE-v3.2rc3-x86_64.iso (234MB). 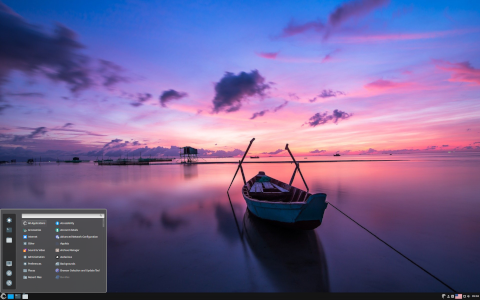 Porteus is a lightweight Linux distribution based on Slackware. The Porteus project has announced the availability of a new development version, Porteus 3.2-rc2. The new release features updates to the Linux kernel (version 4.5.3) and PulseAudio as well as security fixes and upgrades from Slackware's Current branch. "Porteus is over the moon to announce the release of Porteus-v3.2rc2. There have been some major changes since the 14.1 release including: kernel 4.5.3, PulseAudio, eudev, ConsoleKit2, more complete 000-kernel firmware. Other Slackware based changes can be found here." More information can be found in the project's release announcement. There are currently three editions of Porteus's development snapshot available for download: Cinnamon, KDE and MATE. Download (MD5): Porteus-CINNAMON-v3.2rc2-x86_64.iso (256MB), Porteus-KDE-v3.2rc2-x86_64.iso (403MB), Porteus-MATE-v3.2rc2-x86_64.iso (247MB). Jay Flood has announced the release of Porteus 3.1, a set of lightweight Slackware-based distributions and live CDs that come in four separate flavours - with KDE, LXQt, MATE and Xfce desktops: "The Porteus community was delighted to find that Santa had dropped into our chimney a little early this year and left a shiny new Porteus Desktop edition 3.1, as well as Porteus Kiosk edition 3.2.0. A major change in the new desktop edition is the inclusion of the new LXQt desktop which replaces both Razor-qt and LXDE. Changes in this release (relative to 3.1) include: Linux kernel 3.17.4; kernel configuration 0 compiled support for FB_EFI, increased number of Aufs branches to 1024, added input drivers; Porteus installer - user must type 'OK' before MBR will be updated; added 'ntpdate' utility from NTP package which synchronizes the clock over Internet if 'timezone=' cheatcode is enabled...." Read the rest of the release announcement for a full changelog. Download (MD5, pkglist): Porteus-KDE4-v3.1-x86_64.iso (215MB), Porteus-LXQT-v3.1-x86_64.iso (185MB), Porteus-MATE-v3.1-x86_64.iso (206MB), Porteus-XFCE-v3.1-x86_64.iso (174MB). Jay Flood has announced the availability of the second release candidate for Porteus 3.1, a set of small Slackware-based live CDs with a choice of KDE, LXQt, MATE and Xfce desktops: "The Porteus Community is joyful to announce the candidate release of Porteus Desktop edition 3.1rc2 and Porteus Kiosk edition 3.1.3." Some of the changes in this release include: "changed usm.desktop to include 'package manager' in application name; KDE 4 stays at the same version - will be upgraded for final to pull latest updates and patches; fixed bug when wallpaper was not always displayed after boot; upgraded LXQt to version 0.8.0 (still compiled against Qt 4); some reported bugs fixed by upstream - PCManFM remembers last window size and it is possible to give the control over desktop to Openbox; fixed disappearing of LXPanel during activation and deactivation of modules...." See the release announcement for a complete changelog. Download (MD5, pkglist): Porteus-KDE4-v3.1-rc2-x86_64.iso (215MB), Porteus-LXQT-v3.1-rc2-x86_64.iso (185MB), Porteus-MATE-v3.1-rc2-x86_64.iso (206MB), Porteus-XFCE-v3.1-rc2-x86_64.iso (174MB). Jay Flood has announced the availability of the first release candidate for Porteus 3.1, a set of minimalist, Slackware-based live CDs with a choice of KDE, LXQt, MATE and Xfce desktops: "The Porteus community is stoked to announce that the candidate release of Porteus Desktop edition 3.1rc1 is ready for download. As usual we have available pre-packaged modules for Google Chrome, Opera, LibreOffice, AbiWord, Skype and printing/scanning software, all of which can be dropped in place to get out-of-the-box functionality. Changes in this release include: upgraded to Linux kernel 3.17; kernel configuration - compiled support for FB_EFI, increased number of Aufs branches to 1024; Porteus installer - user must type 'OK' before MBR is updated, this is to prevent installation made by accident on unwanted partition; upgraded to: cryptsetup 1.6.6; added 'rfkill' package...." Read the rest of the release announcement for a full changelog. Download (MD5, pkglist): Porteus-KDE4-v3.1-rc1-x86_64.iso (215MB), Porteus-LXQt-v3.1-rc1-x86_64.iso (183MB), Porteus-MATE-v3.1-rc1-x86_64.iso (206MB), Porteus-XFCE-v3.1-rc1-x86_64.iso (173MB).